When it comes to travel, going by air is definitely the fastest. Commercial airlines, though, come with hassles and costs that most businesses don’t need nor want to deal with when they’re under a deadline. Using a private jet is just the way to save yourself the stress and avoid the long lines, cramped cabins and bustling airports. 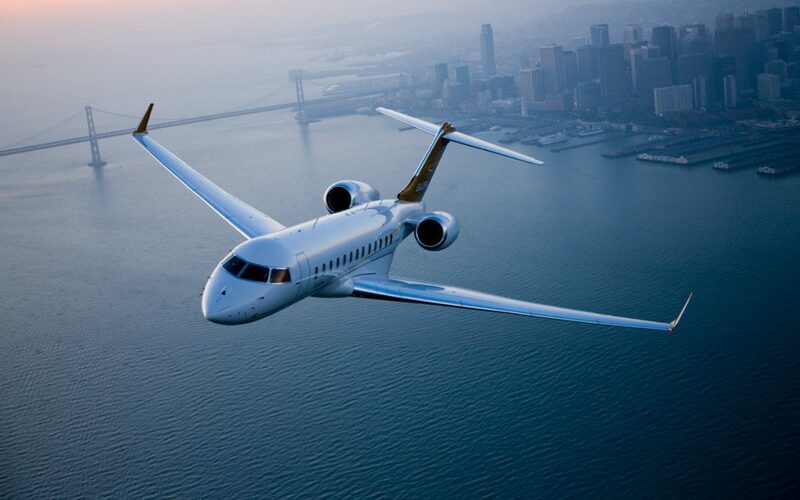 Private jets are easier, faster and more customized to you and your business. 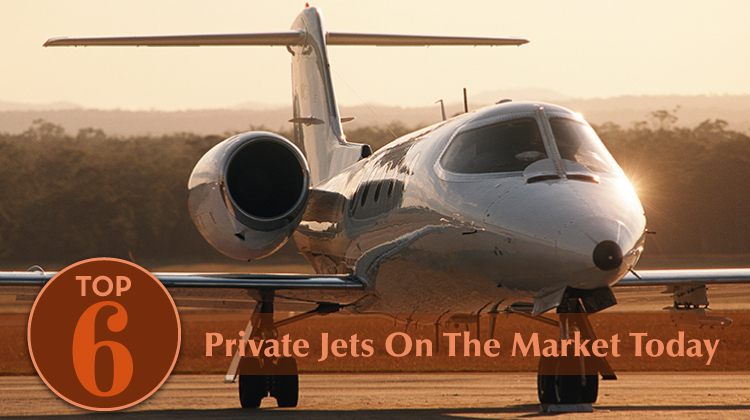 There are a wide variety of private jets, from the largest to the smallest, from the most basic to the most luxurious. The following is the top six of the best and most common private jets in the large to midsize range that are on the market today. 1. Gulfstream G650ER – At $66.5 million, this plane may not seem the most cost-effective option until you take into account the ability to fly nearly halfway across the globe (8,630 miles) nonstop. For those that have business dealings across the world, this plane would be the one for you, travelling at a cruising speed of 561 mph, with a cabin capacity of up to 18. It’s bigger and faster and flies further than any other business jet on the market today. 2. The Bombardier Global 6000 – While not able to go near as far as the plane above, this one is a large contender, being able to fly up to 6,904 miles with a cruising speed of 561 mph. 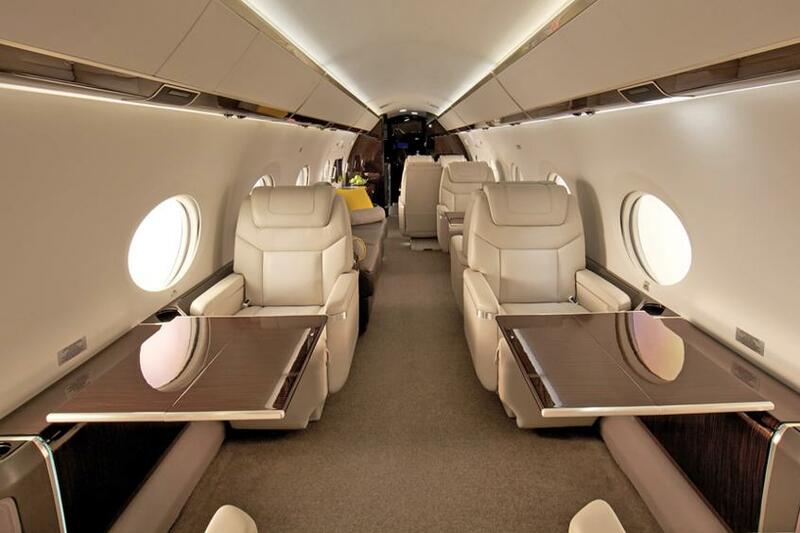 At $62.3 million, it’s slightly more affordable than the Gulfstream, but is only able to hold up to 13 people. While not as big or able to fly as far, the Bombardier does have an excellent range, and is large and comfortable for those in the cabin. 3. 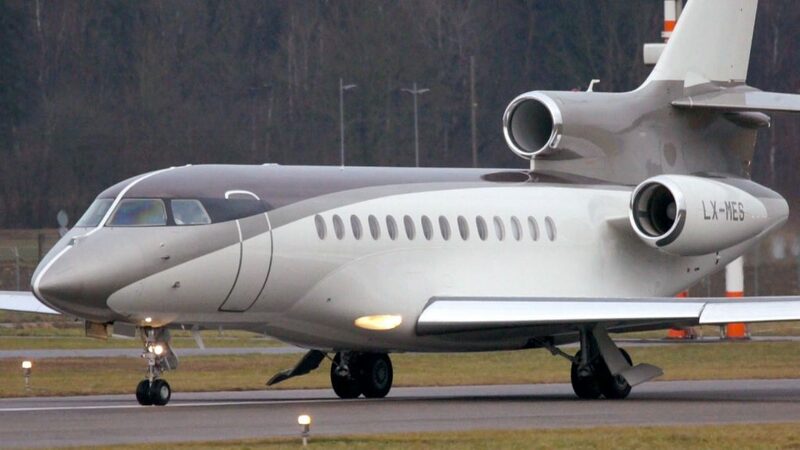 Dassault Falcon 7X – This plane is touted for being rather fuel efficient and its ability to land and take off from much shorter runways than its competitors. Flying at a speed of 528 mph for up to 6,847 miles, it’s able to go a fair distance in one shot. The Falcon is capable of holding up to 12 passengers and typically has wonderful resale value. It can be bought at $53.8 million. 4. 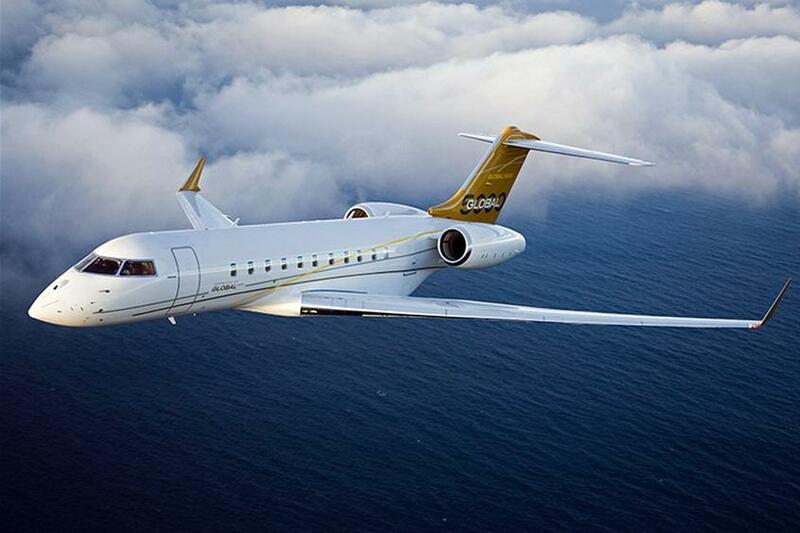 Bombardier Global 5000 – If size is what you’re looking for, than this plane is one for you. At $50.4 million, this plane has a large, comfortable cabin that can hold up to 13 passengers, has abundant baggage space and contains a full service galley. Able to fly up to 5,984 miles with a cruising speed of 561 mph, this Bombardier is a wonderful buy for the businesses that will be using their jet often and are wanting something a little more comfortable. 5. Gulfstream G450 – Again, if a large plane is on your wish list, than this one is an excellent contender. Able to fly 5,000 miles at 528 mph, this large plane boasts a roomy cabin with large windows and a full-service galley. Able to seat up to 16 passengers, you’re not left wanting for space. It’s also considered wonderfully fuel efficient in its ability to quickly climb to cruising altitude. This Gulfstream can be bought for $43.15 million. 6. 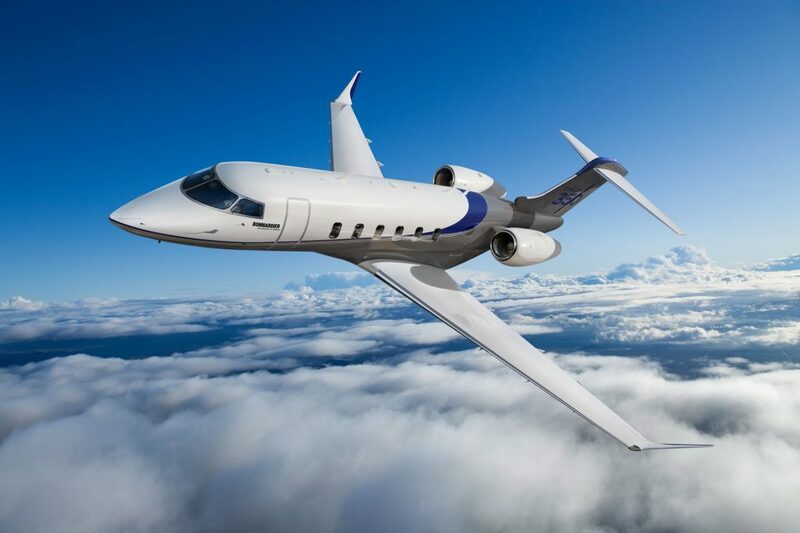 Bombardier Challenger 350 – If you’re looking for a comfortable working environment for your passengers, but don’t want a the costs of a larger jet, than this may just be it for you. This Bombardier has a cabin capacity of 8 to 9 passengers, a fuel efficient design and excellent communications and cabin-management system. Not to mention the fully reclining seats for when those flights go over six hours. At $26.7 million, capable of flying 3,682 miles at a cruising speed of 528 mph, this plane is a small, but luxurious jet for your business needs. When finding a plane for your business needs, it’s good to know exactly what size you’re going to need, how far it’s going to have to fly and how often it’s going to be in use before you commit to a buy. The planes listed above are the top planes for world-wide flights. If you’re looking for something smaller, perhaps just to go coast-to-coast, or have any other questions regarding private jets, feel free to contact us.